Did you hear the whisper…. My new book ‘Whispers of Oman,’ is a fact. The book contains stories of mainly women of all levels of society. In the stories they share their dreams, their thoughts. They tell about their lives, about their achievements, about the opportunity they got when in 1970 Sultan Qaboos took over power. Their stories came to me, as a whisper in my ear… as a go-between and with the help of women for the language, I wrote the stories down. After seven years of listening and three years of writing and photography I proudly can say: we did it. 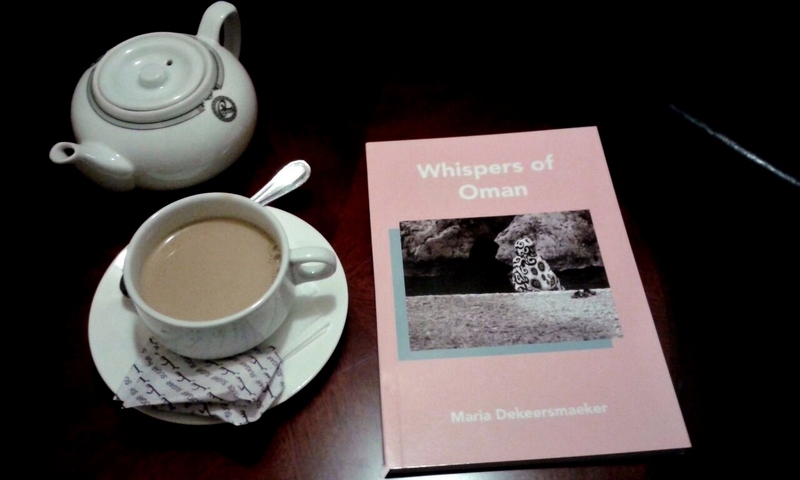 ‘Whispers of Oman is not only a fact.’ I am sure the book will inspire other women and men to do the things they are good at…. The book is available in the Al Batra bookshops in Muscat and Salalah, in the Family bookshop in Muscat and by the author. Whispers of Oman, ISBN 979-99969-1-338-9. ‘Whispers of Oman‘ is also available as e-book and paperback.